Matching the Rider Ride-on there is now a handy trailer in retro style to transport items like soft toys, bricks and further toys. Just like the racing cars, the trailer is also designed in a stylish retro style, the eye-catcher in every room. Manufactured of metal, the trailer is exceedingly solid and durable, making it a great alternative to the common plastic models. Thanks to its rubber wheels, the level of noises is reduced and therefore, the trailer can be used inside the house. The fastening system is included in the delivery. 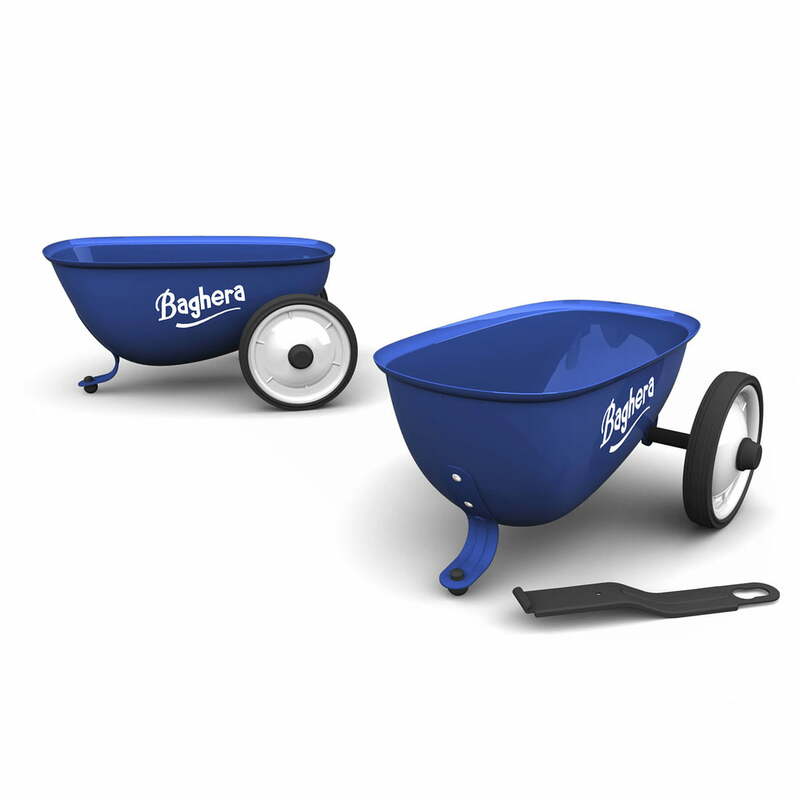 The trailer is suitable for future race drivers of the age 2. Please note: the trailer shouldn't be used by children over 3 years because of insufficient resistance. The car has no breaks and shouldn't be used in public streets, steep gradient, stairs or close to water. Never use it on bumpy / uneven grounds, nor to jump or for cascades. Single image of the Trailer for the Ride-on by Baghera in blue. This practical transport possibility made of metal and with rubber wheels is the perfect addition to the Rider Ride-on.